The band have announced full details of their fifth album, the follow-up to 2013's The Weight Of Your Love. The record will be entitled In Dream and will be released in October. The announcement follows the surprise release of their first new music in two years via a secretive placing of the single No Harm on a Play It Again Sam label sampler and a further taster in the form of the seven plus minutes Marching Orders. In Dream is the band's first album since 2013's The Weight Of Your Love. In a statement from Tom Smith, he claimed the new LP is a bold and expansive statement and is driven by a belief that music can be ‘both pop and experimental’. 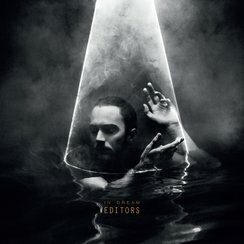 Editors previously announced a tour for October. They'll play shows in Manchester, Leeds, Birmingham and more. Plus, the band will host a gig at London's Hammersmith Apollo. In Dream will be released on 2 October.